It may be a small country in land mass, but Costa Rica is one of the world’s biggest natural playgrounds. Bordered between Nicaragua and Panama, Costa Rica boasts the world’s largest density of flora and fauna in addition to a varied terrain of mountains, valleys, forests, volcanoes, beaches, lakes and rivers. 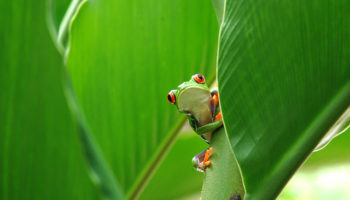 Costa Rica’s natural beauty and rich resources make it a popular destination among eco-tourists and adventure seekers. Nearly a quarter of Costa Rica is protected by numerous national parks that include Chirripo, Arenal Volcano, Corcovado, Manuel Antonio and Tortuguero, which shelter amazing ecosystems and an abundance of wildlife such as sea turtles, monkeys, iguanas, jaguars, tapirs, scarlet macaws and sea turtles. These national parks are also favored for their many adventures that include jungle hiking, whitewater rafting, ziplining, mountain climbing, waterfall rappelling and cave exploring. 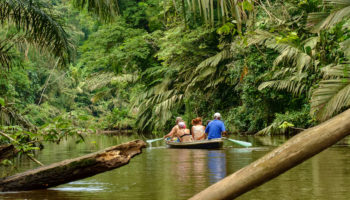 Other protected areas such as the Monteverde and Santa Elena Cloud Forest Reserves feature enchanting environments teeming in lush plants, colorful flowers and rare birds and animals. However, Costa Rica is not all about ecotourism. 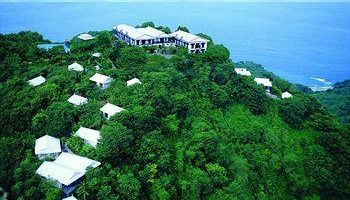 The country is also abundant in classy resorts, coastal towns and gorgeous beaches. The capital San Jose features a variety of dining, shopping, colonial architecture and family attractions. Puerto Limón and Quesada are other cities with plenty to see and do. 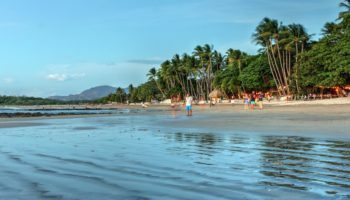 Beach towns like Jaco, Santa Teresa and Tamarindo offer some of the country’s hottest nightlife scenes, laid-back vibes and excellent surfing waves.